When it comes to deciding on which college to attend, students often have many options on the table. 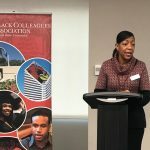 Illinois State University’s Black Colleagues Association (BCA) works to hold at least two meet and greets each year for future Illinois State students to help make that decision easier. 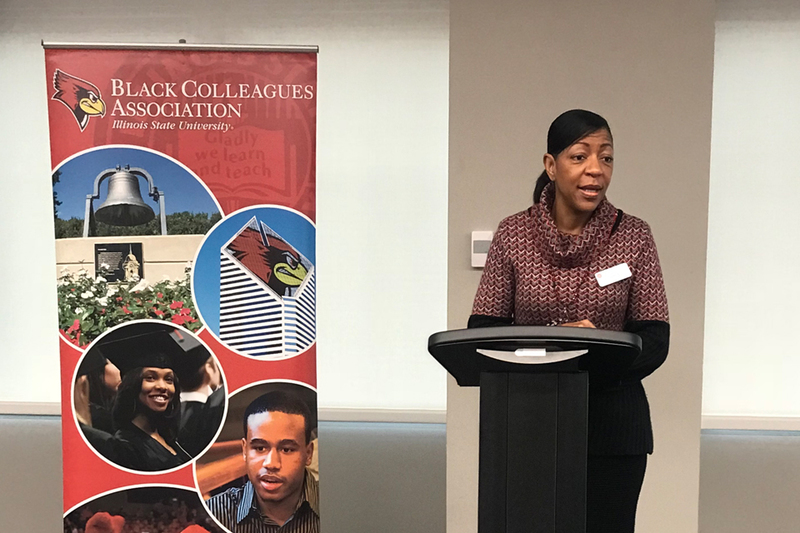 BCA held its first meet and greet in the Illinois State University Chicago Office on February 3. Over 20 admitted students attended along with family members. During this time, members of BCA took the time to meet these students, build connections, and share what their journey was like at Illinois State. BCA also knows that future students want to hear what it is like on campus now. Current Illinois State students, like BCA scholarship recipient Kelsey Franklin, took the time to visit as well to share experiences. Shelly Booker ’85 greets future Redbirds at BCA meet and greet. There is another opportunity for black alumni and BCA members to attend a meet and greet and help admitted students make the right choice in Illinois State. Join BCA at its March 10 reception from 10 a.m.–noon at The Atrium in Country Club Hills. Contact Alumni Relations or call (309) 438-2586 to say you are ready to get involved with the BCA meet and greet. Any alumni interested in getting involved with new and current students at Illinois State, reconnecting with the campus community, and making a difference can learn more through the BCA involvement site.